The value of currency is determined by its selling and purchase price as a commodity. This is affected by the amount of currency that is bought. When a currency is very popular and many people buy it, then its value increases. However, when a currency is not purchased often, then its value decreases. Currencies were once assessed by the gold standard, which compared currencies to the U.S. dollar and then to the value of gold. However, this was abandoned after WWI. The current method of assessing currency values is based on the floating currency exchange rate, which is a more efficient way of valuing currency from one country to another, even though currency values fluctuate from day to day. 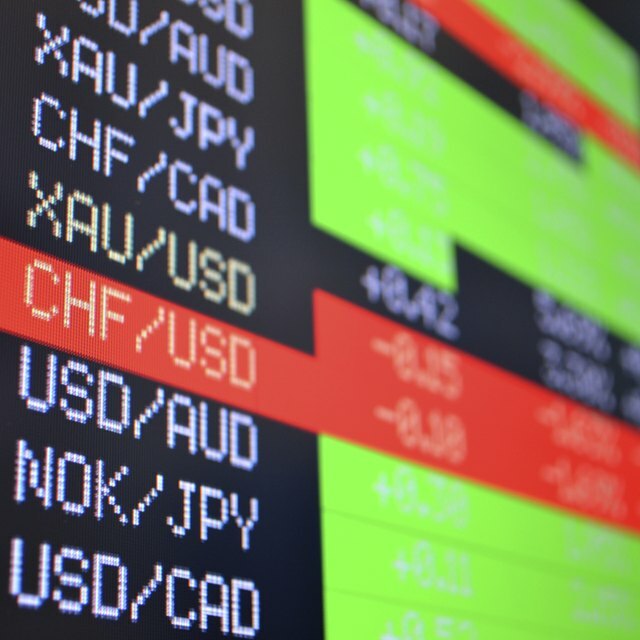 Currencies are traded in pairs, such as the U.S. dollar to the Euro, so that the value of one currency is seen against the other, then other related factors are also examined to determine the overall currency value. The Fair Market Value of a currency is based on the agreed amount at which it is bought and sold. Many factors are considered about the country when determining a reasonable trade value. The economic condition of a country, such as employment rates and opportunities for growth, is examined when comparing its currency to another country. Currencies of prosperous countries are then given a higher value than the currency of economically struggling nations. The political climate of a country is assessed for its stability in its national governance, and in the global political realm. The value of currency is directly affected by the country's allies and enemies, as well as political agendas. Whether or not a country is at war also affects the value of the currency trade. Not only does the war itself raise heightened economic concerns, but currency is either strengthened or weakened by the purpose of the war, the country's role and allies in the conflict.